Selling a home is exciting, but stressful. What’s already a bumpy ride can go a lot smoother when you pick the right real-estate agent to guide the way. And let’s face it: not all realtors are the same. We are people with unique personalities, traits, and motivators. So you need to look for the best person to get the job done with the best possible outcomes for you. Smart, focused and willing – I’ve got the experience and action plan to get your home on – and off – the market. And my results prove it! I know you have choices for selling your home in Pittsburgh – there are a lot of real estate agents out there. But not all of them are good at selling homes in Pittsburgh. Of course we all talk about good service – but I put it in writing. If at any time, you are not completely 100% satisfied with the service you are receiving, you may cancel with *14 days written notice. So… What’s my Action Plan to Get Your Home SOLD? Enter listing into the Multiple Listing Service (MLS), making detailed information available to all cooperating real estate agents in the area. Provide a quality FOR SALE sign. Install Lock Box to increase showings. Prepare professional brochures highlighting the features and benefits of your home. Distribute brochures to top local agents, neighbors and potential buyers to increase awareness. Promote property to other agents at all office, company, MLS, board, and other meetings for maximum exposure. Include your home in our innovative marketing and advertising. Review time-tested preparation and staging tips for successful showings. Concentrate on solutions, not problems. Keep you informed with prompt, honest, and consistent communication. Represent your best interests in all negotiations. Closely monitor all activities with lender, title, inspector, appraiser, other agents, etc. to insure a successful closing. 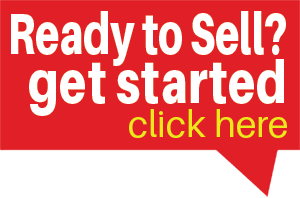 Produce the quickest sale, at the highest price, with the least amount of inconvenience to you. Be sure to check out my other helpful tips to help you through the home selling process. When you’re ready to take the next step toward selling your home, we’re here to help. Fill out the form below and we will contact you right away. Please take just a few minutes to complete this questionnaire. This will help you to determine what is important to you in selling your home and it will get all of the preliminary stuff out of the way so that we can focus on selling your home! How large is you yard? What features have you enjoyed most about this home? Neighborhood? Community? What was your primary reason(s) for purchasing this home? Have you done any remodeling or updating to the home since you purchased it? Are there any structural material defects you are aware of in the home? How much do you think your home will sell for? How did you come to that price? Would you rather receive top dollar or have a faster sale? What are your major concerns in selling your property? Has your home been on the market in the past year? If yes, Is your home currently off the market? Why do you think it didn't sell previously? What is your home's current mortgage balance(s) (if any)? What is the main reason you are selling your home? Are you moving out of the area? Are you going to be buying a new home? Are you committed to another agent to help you find a home? When was the last time you sold a home? What criteria have you set for hiring a realtor? Are there specific services you are looking for from your agent? What are your expectations of the realtor you hire? How will you measure success in our relationship? *Restrictions apply. Download the free Pre-Listing Packet (form located in the sidebar) for full details.